If asked to name a country in Africa, I am sure that Kenya would be the first to spring to mind for most people. There is something about Kenya that for many of us just seems to encapsulate, or ‘distil,’ our ideas of Africa. This may not be much of a surprise, considering that Kenya has taken centre stage over the past few years representing its continent in the global community. 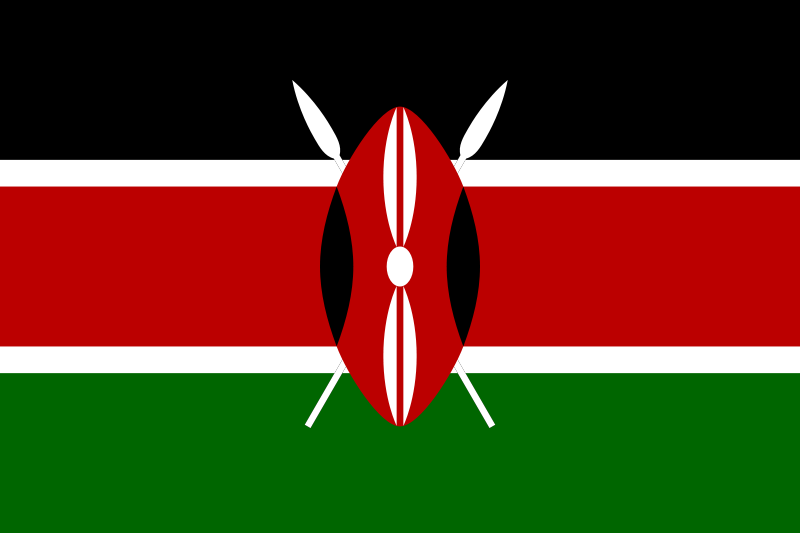 Since its independence from British colonial rule in 1967, the Republic of Kenya has been one of the most stable countries in Africa – both politically and economically. Kenya, and especially its capital Nairobi, is one of the main commercial hubs in Africa, with the Kenyan economy being the largest by GDP in East and Central Africa. It also helps that Kenya probably has some of the most spectacular scenery and wildlife in the continents – from the majestic expanse of The Great Rift Valley, to the big game found in national parks like the Masai Mara and Tsavo. 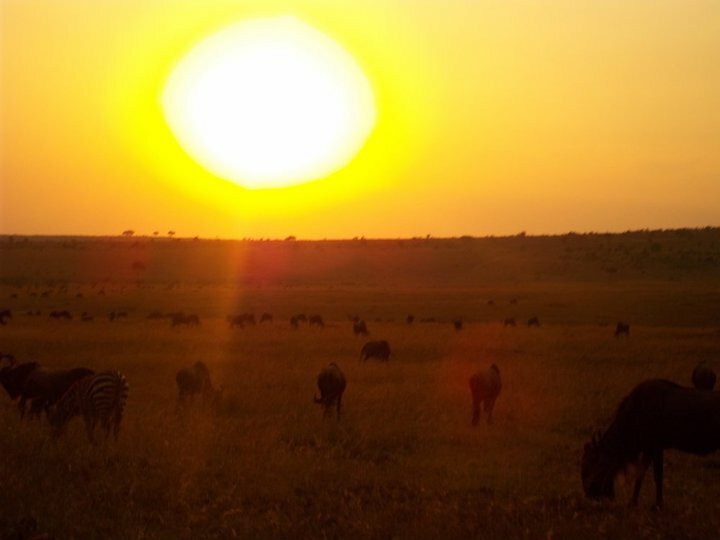 Wildebeest in the Masai Mara national park – picture taken at sunset from the back of a safari van! In terms of cultural development, the country has a formidable track-record: Kenya has been inhabited by people for as long as human history has existed. However, it has been a long, hard process for native Kenyan writers to get their work read and voices listened to, over the literature written about their country by white European and American settlers. Without a doubt the most famous of these ‘settler narratives’ has to be Danish enterpriser and authoress Karen Blixen’s work, Out of Africa. The book, which she published in 1937 under the pseudonym Isak Dinesen, is a memoir of the seventeen years Blixen spent making her home on a coffee plantation in Southern Kenya. After the break-down of her marriage to a wealthy Danish Baron, who was also the reason for her immigration to Africa, Blixen finds herself single-handedly responsible for the running and management of the farm. Ngugi wa Thiong’o (commonly known simply as ‘Ngugi’) is perhaps the most prolific and influential Kenyan writer to emerge from the country in recent years. Ngugi received a BA in English from Makerere University College in Kampala, Uganda, in 1963. Following this, he published his first novel, Weep Not, Child, in 1964, which he wrote while attending the University of Leeds. It was the first novel in English to be published by an East African. Throughout his studies and literary career, Ngugi has tirelessly campaigned for the decolonization of African literature and literature courses. When he first became a lecturer at his old university, not a single African book even featured on the syllabus: something that Ngugi sought to rectify by introducing the study of local oral literature into the curriculum, saying that these should be central rather than peripheral for students of literature. In 1977 Ngugi was arrested for the increasingly uncensored political messages expressed in his plays and writing. While detained in the Kamiti Maximum Security Prison, he wrote the first modern novel in the regional Kenyan dialect Gĩkũyũ, Caitaani mũtharaba-Inĩ (Devil on the Cross), on prison-issued toilet paper. Ngugi is currently a Distinguished Professor of English and Comparative Literature at the University of California, Irvine. In the summer 2006 the American publishing firm Random House published his first new novel in nearly two decades, Wizard of the Crow, translated to English from Gĩkũyũ by the author, and his most recent book Dreams in a Time of War was published by Vintage in 2010. In recent years Ngugi has been involved in heated debates with fellow African writers, most notably the celebrated Nigerian author Chinua Achebe, for his campaigning for the out-right rejection of English language in African literature. Achebe, in contrast, takes the view that to exclude English from his writing would be to deny an integral part of African history and experience.